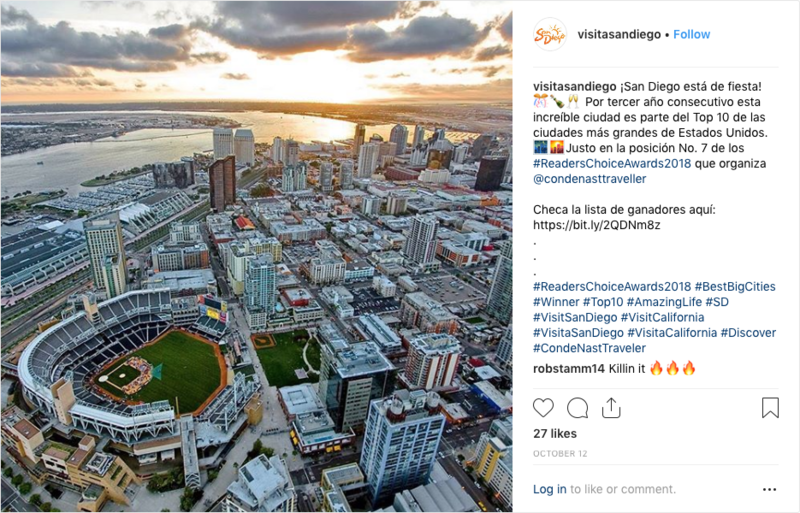 Below are the October 2018 sales & marketing highlights from various departments from the San Diego Tourism Authority. The fall flight of the national digital video campaign wrapped up in October, delivering 39.3 million impressions with $1.05 million in media spend. The “Summer Feeling” :30 brand spot ran in non-skippable pre-roll and mid-roll video placements in full-episode environments on ABC, CBS, Hulu, NBC Sports, Amobee and YouTube. The national digital video campaign will resume with the winter/spring media flight: January – April. The Awesome All Year campaign wrapped up in October, delivering 27.3 million impressions with $436,672 in media spend in Los Angeles, Phoenix and Las Vegas. 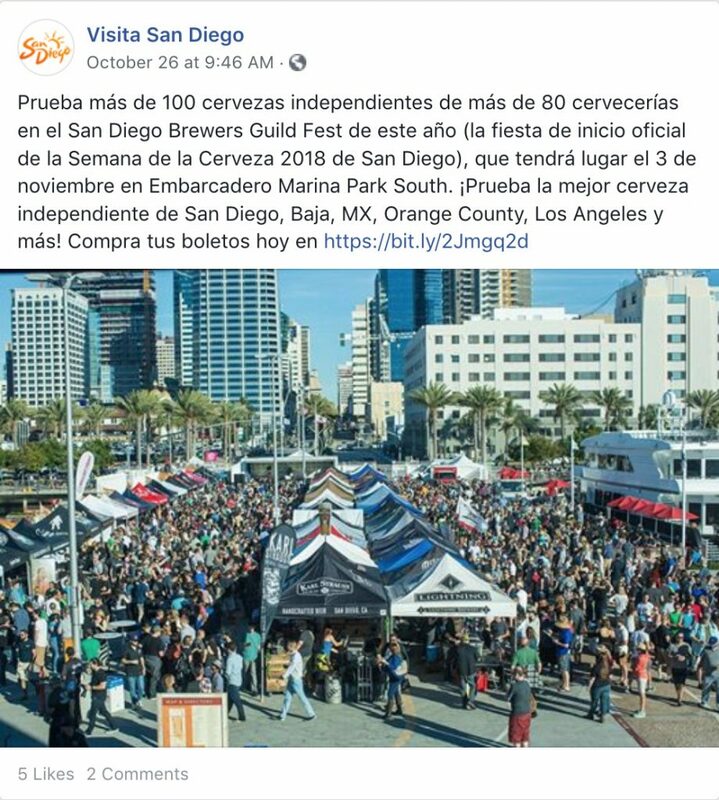 The digital out-of-home placements and paid social showcased the variety of San Diego’s fall events to stimulate immediate interest and drive consideration to visit San Diego during the fall. The Kids Free San Diego campaign completed in October, delivering 45.9 million impressions in Los Angeles, Phoenix and Las Vegas with $421,357 in media spend. 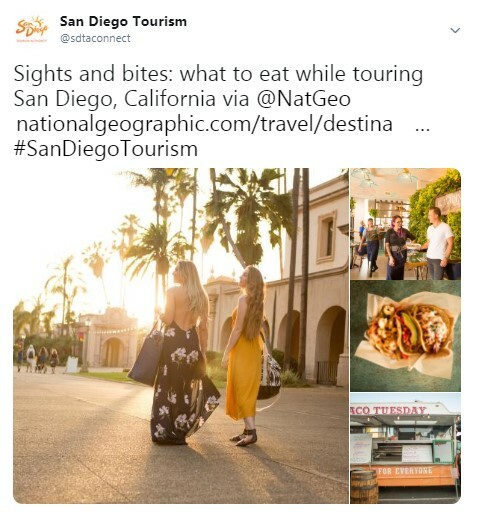 The destination-wide promotion brought together more than 110 SDTA members across hotels, attractions, museums, activities, and restaurants to offer Kids Free deals and inspire travel to San Diego during October. 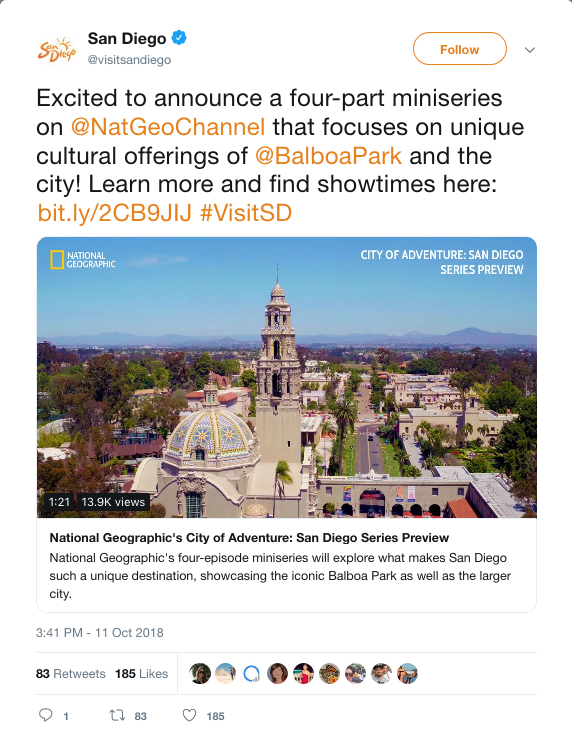 The strategic media partnership with National Geographic focused on creation and distribution of custom content and storytelling for San Diego and Balboa Park, including the four-part broadcast series, 8-page print editorial, digital content articles, and social media promotion. 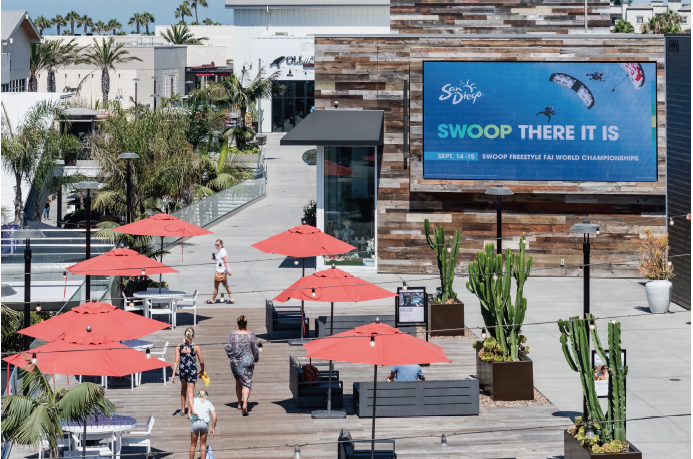 In order to create additional exposure and reach for the destination, SDTA negotiated brand advertising placements to complement the custom elements of the program. National television and digital display placements launched in October in the United States and will follow in November in Canada and January in the United Kingdom. 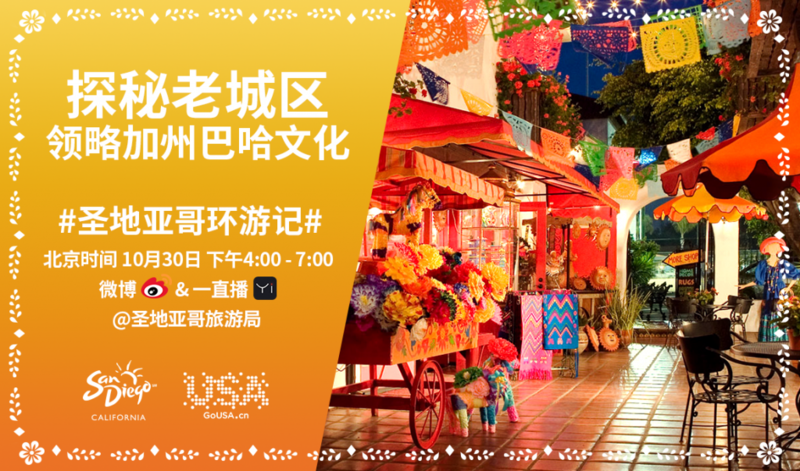 National Broadcast: SDTA’s “Summer Feeling :30 brand spot will run in conjunction with the San Diego-Balboa Park miniseries as well as within top-rated National Geographic Channel programming, including Mars and Life Before Zero. 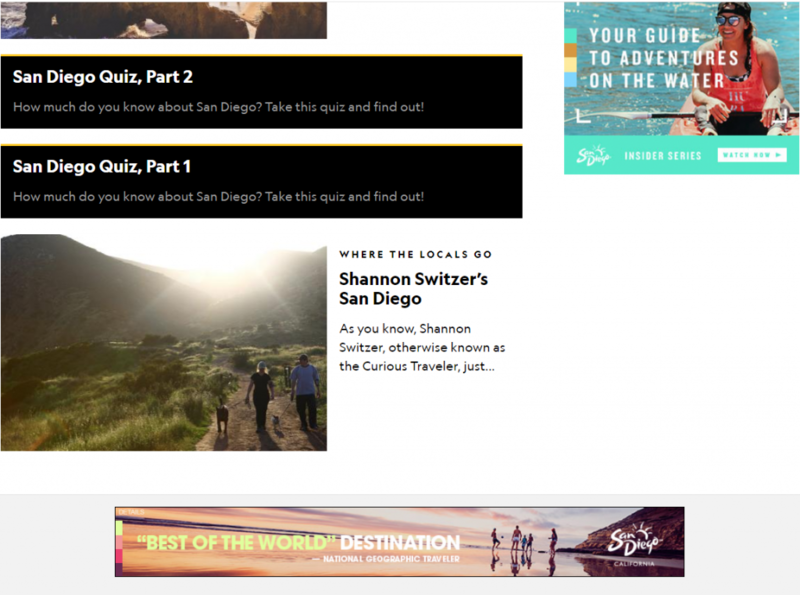 Digital Display: Companion brand ads driving to San Diego owned channels will run within the custom San Diego content articles and travel guide. The digital brand elements are expected to deliver 20.1 million impressions. 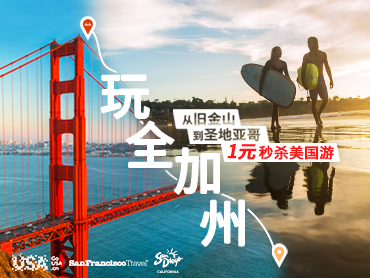 In October, SDTA launched phase two of the San Diego-San Francisco “Best of California” co-op campaign running on Ctrip. 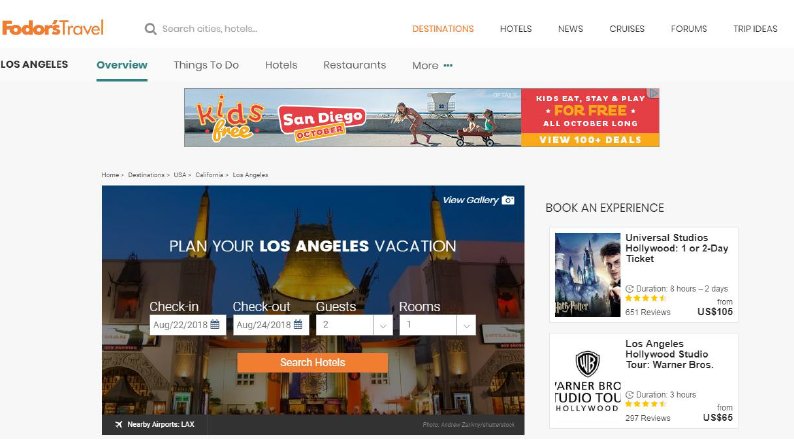 Joint destination advertising executions from phase one are replaced with individual destination promotion under “Best of California” umbrella positioning during phase two but joint destination product is still promoted. Total campaign spend of the month of October was $58,426 with 16% contributed by BrandUSA and affinity partners and a total estimated 10.7 million impressions. 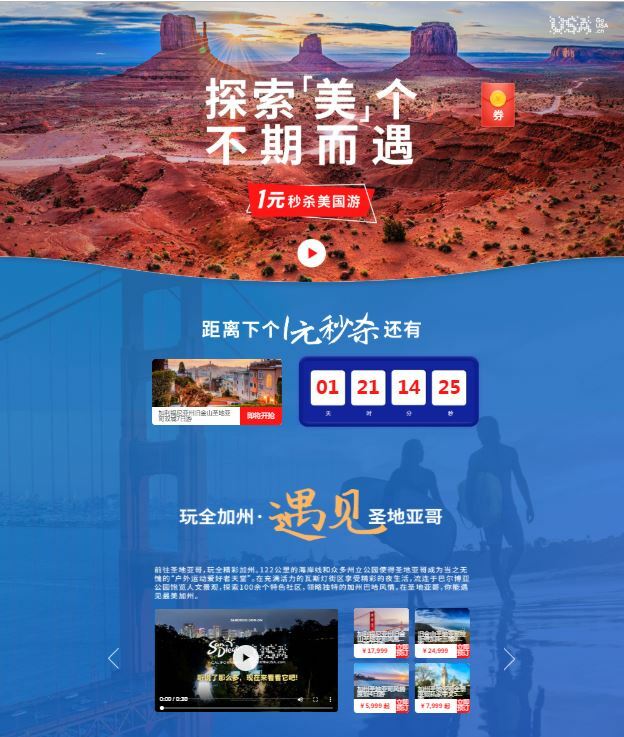 Click here to view Ctrip website. 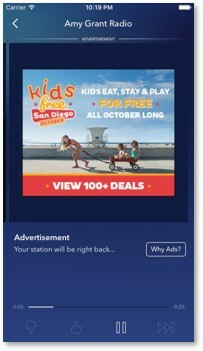 SDTA once again partnered with Brand USA to participate in their custom Single’s Day promotion on Fliggy. Similar to Black Friday in the U.S., Singles Day (November 11) is the world’s largest e-commerce event created by Alibaba. San Diego and San Francisco also partnered up within this program to run the “Best of California” campaign and joint destination product. The digital portion of the campaign launched in October and will run through November. SDTA spend for October was $36,000 with an estimated total of 12.7 million impressions. Click here to view TaoBao website. 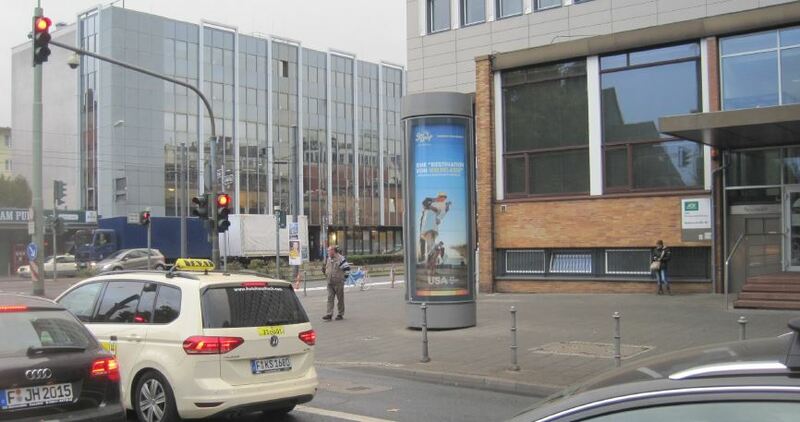 SDTA’s consumer direct advertising program in Germany launched in late October with digital out-of-home city column and video info screen placements in the Frankfurt market. 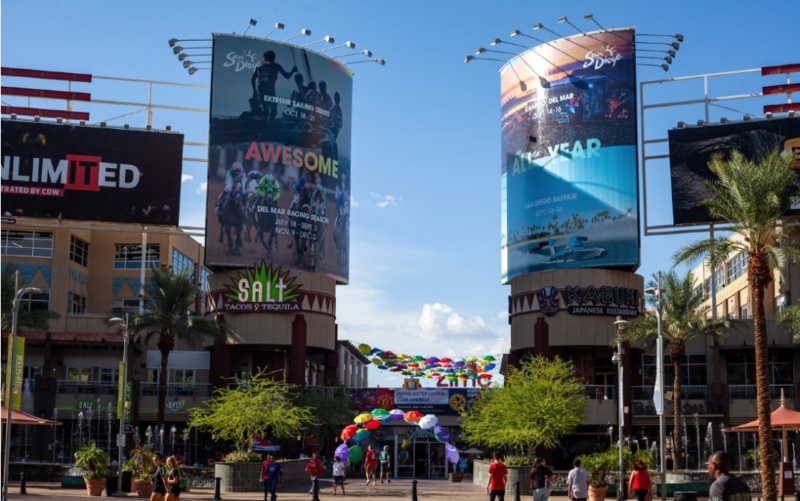 Out-of-home will run through mid-December and will be complemented with a robust digital program running November through mid-January featuring video and display units. 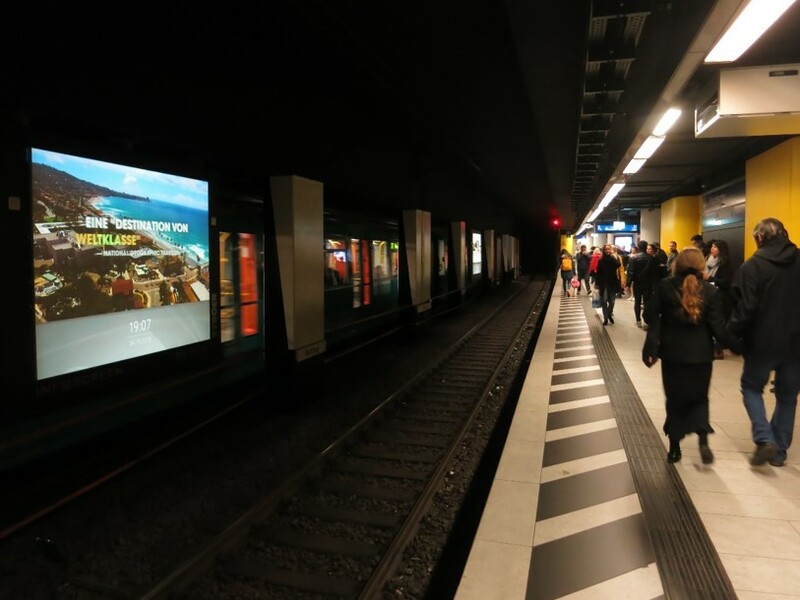 The total Germany media investment of $600,000 (including $100,000 in partner contribution from Brand USA) is expected to deliver almost 116 million impressions throughout the flight. Web traffic for September included 897,997 user sessions between the desktop and mobile websites (excluding Travel Blog). The team posted a total of 104 Tweets, 24 Facebook posts, and 17 Instagram posts, and 7 Instagram Stories through our social channels. 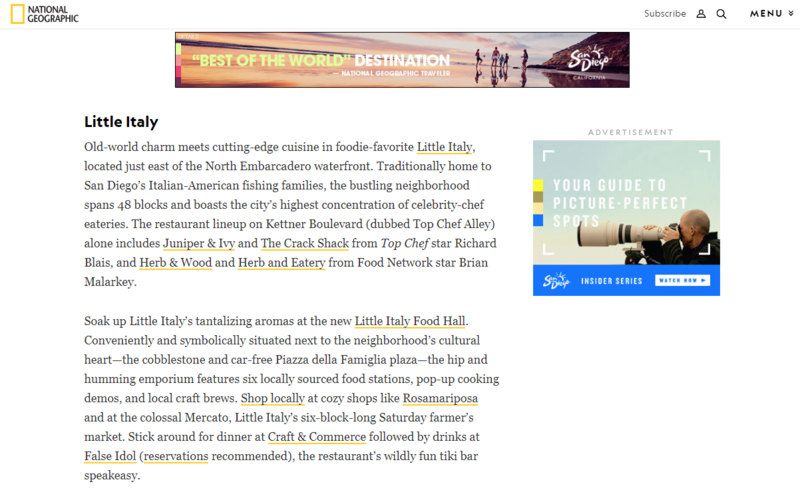 There were 8 blogs and 6 consumer emails published this month. 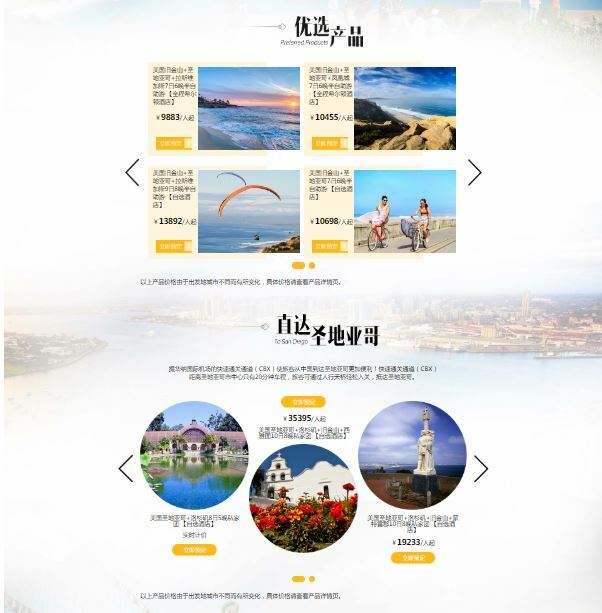 Overall traffic to the China website (sandiego.com.cn) was 2,655. The social media team, in partnership with Hylink, published a total of 31 Weibo posts and 4 WeChat posts. Overall traffic to the Mexico page was 1,447 unique users. The social media team, in partnership with PR Central, published a total of 7 Facebook posts and 5 Instagram posts. Overall traffic to the Japan page was 2,324 unique users. The social media team, in partnership with aviaREPs, published a total of 17 Facebook posts. The October B2B Postcard was delivered to 6,925 meeting planners as part of an ongoing video series. 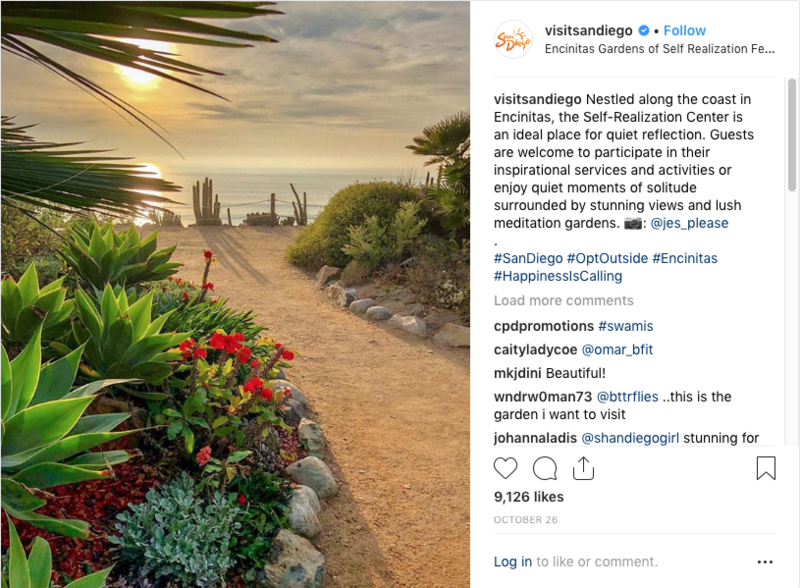 Each quarter a new video showcases San Diego icons, regions, businesses, or opportunities to inspire meeting and event planners. The open rate for the October B2B email was 18.7% which represents over 1,282 unique meeting planners. The October video email highlighted unique regions including, North County, Mission Bay & Beaches, Mission Valley/Old Town, La Jolla/UTC, Downtown, Coronado, South Bay and East County, and Point Loma Peninsula. LinkedIn grew by 2.6% from last month to 7,175 followers, earning more than 21,051 impressions. Year-over-Year the LinkedIn Audience grew by 19%. @SDTAConnect Twitter base grew by 10 YoY to 3,877 followers. There were 35 tweets during the month. 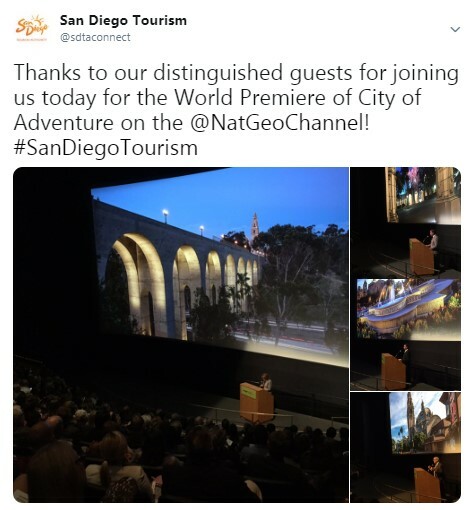 This month, the tweet with the most exposure was coverage of the world premiere of National Geographic’s four-part miniseries on Balboa Park. The tweet with the most engagement showcased a series of photos from National Geographic promoting the upcoming mini-series. The B2B Account earned nearly 23,000 impressions during the month of October and increased by 10% YoY. 7 New Members joined in October earning $3,850 in annual dues revenue. $152,210 was earned in new ad contracts. The team was proud to present Members our 2018 Fall Sales & Marketing Workshop. Over 500 Members registered for the educational and networking event. The team also secured over $27,000 in sponsorship to make sure the event was offered to Members at no cost. The Hotel Meetings Sales team had another strong month in October, booking 51 meetings, representing 27,612 room nights. Fiscal year to date, the team has converted 204 bookings and 105,874 total room nights for the destination. 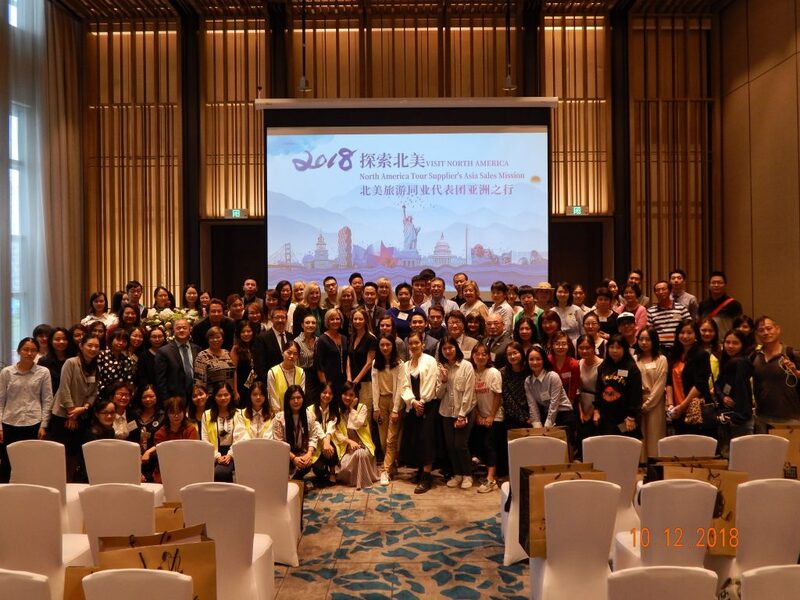 The Customer Acquisition program continued momentum with 8 group opportunities (8,576 room nights) being generated in October from our Connect FAM’s, NHS Global Event FAM, Strategic Site Selection FAM and Egencia Meetings and Events FAM. The Customer Acquisition program is designed to bring clients with targeted group business opportunities to San Diego or conducting in market events in key cities around the country. Annually, October brings us one of the more successful trade shows in IMEX America in Las Vegas. Over 6,300 meeting planners and influencers attend from 63 countries around the world. 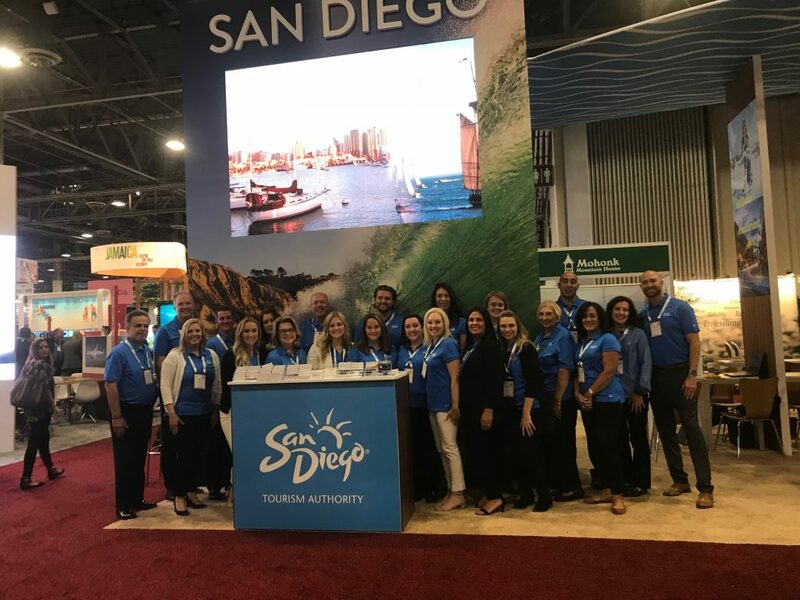 This year, 18 hotel partners and members joined within our San Diego booth conducting 414 one on one appointments with clients over the course of 3 days. In addition, we conducted 9 group presentations to 85 meeting planners for added San Diego exposure. The SDTA at IMEX America convention in October. Also in October, Ernie Rossow, National Sales Director was joined by 9 hotel partners to host 2 successful client events in Denver. 44 clients were in attendance at the two events with key clients in attendance from Kinsley Meetings, Global Cynergies and the ITA Group amongst a multitude of other high-end corporate clients. The Site Experience team had a great October, with 13 client site experiences, creating exposure to 54 hotels and 4 venues. 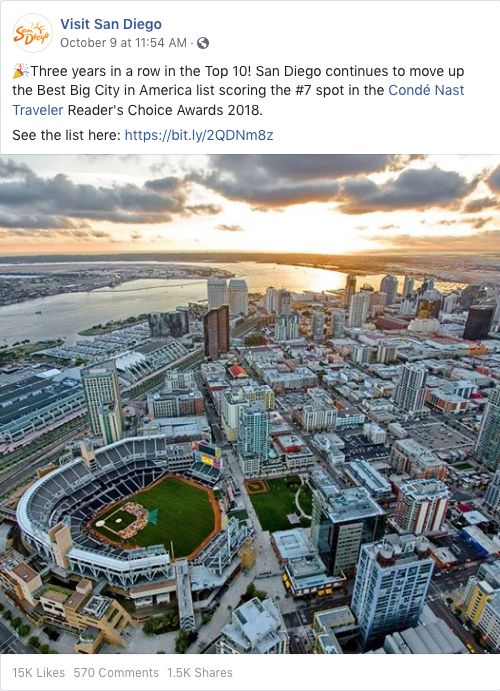 The Site Experience Awards recognize excellence in the tourism/hospitality industry in San Diego. The honor represents the highest level of professionalism, customer experience, and results in bringing new business to the destination. This award is presented not only quarterly to a salesperson and a sales team within the San Diego region but also annually at our October Sales and Marketing Workshop. Congratulations to the Hilton Torrey Pines Hotel and Sales Team on winning the sales team of the year award and to Tyler McDonald at the Town & Country San Diego on winning the Sales Manager of the year. In October, PR Manager Roberts Arends traveled to Minneapolis to meet with leading media outlets including Delta Sky magazine, Sun Country (Airlines) magazine, Star Tribune Magazine, Artful Living magazine, Meetings + Events and Live/Play/AAA magazine. Mr. Arends also met with editors at Lonely Planet magazine and Southern Exposure magazine in Nashville. International PR Manager Joe Timko hosted a group of four top Australian media for a four-night visit to San Diego. The fam tour highlighted our unique neighborhoods, outdoor recreation, arts and culture, and dynamic culinary scene including local craft beer. 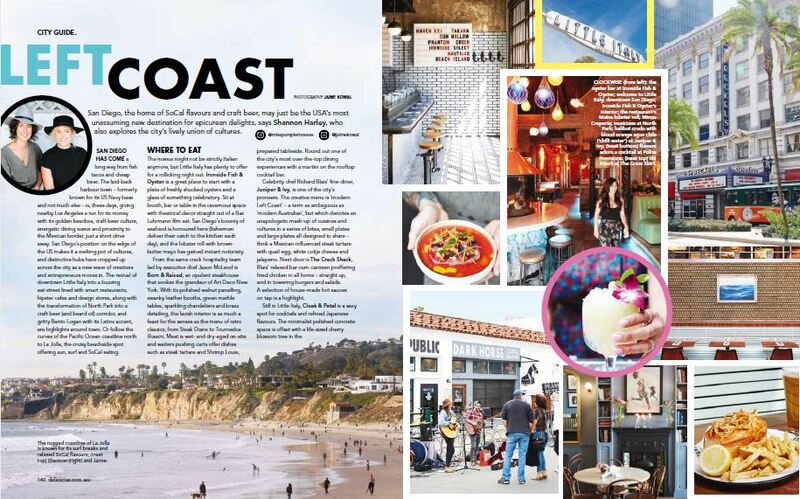 San Diego featured in Delicious Magazine. Communications hosted a number of media outlets, including Travel Pulse, Der Tagesspegel (Germany), Inside Kent (UK) and more. 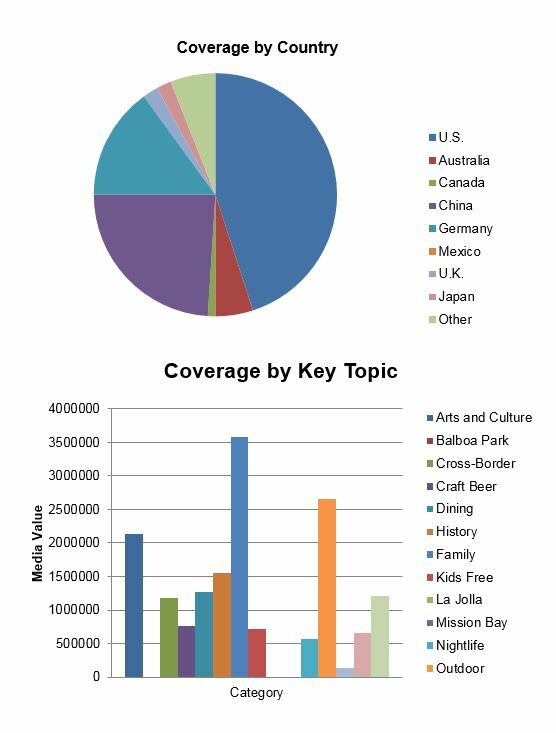 Key coverage received in October included the New Zealand Herald, Canadian World Traveller, Alaska Beyond (Alaska Airlines) magazine, Gaydio (UK), Via magazine, Delicious (Aus. ), and more. The Tourism Development team distributed 3 referrals and 2 leads to member businesses from travel trade clients. 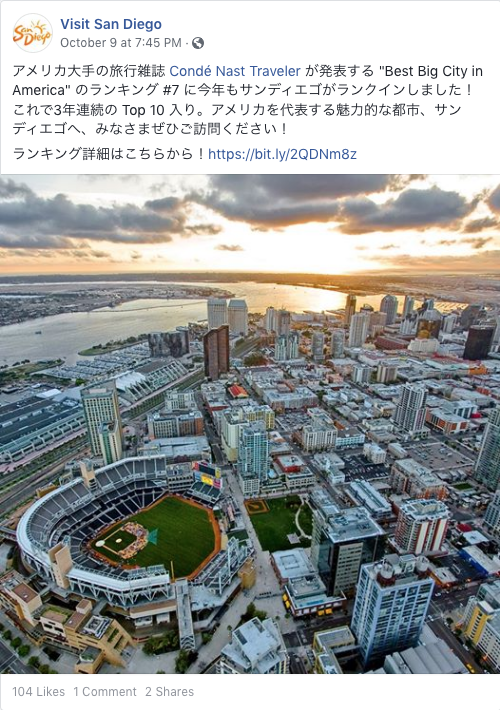 The team certified 19 new San Diego Specialists agents from USA, Mexico, Canada, China and India who account for approximately 765 visitors to San Diego – generating approximately 499 annual room nights. 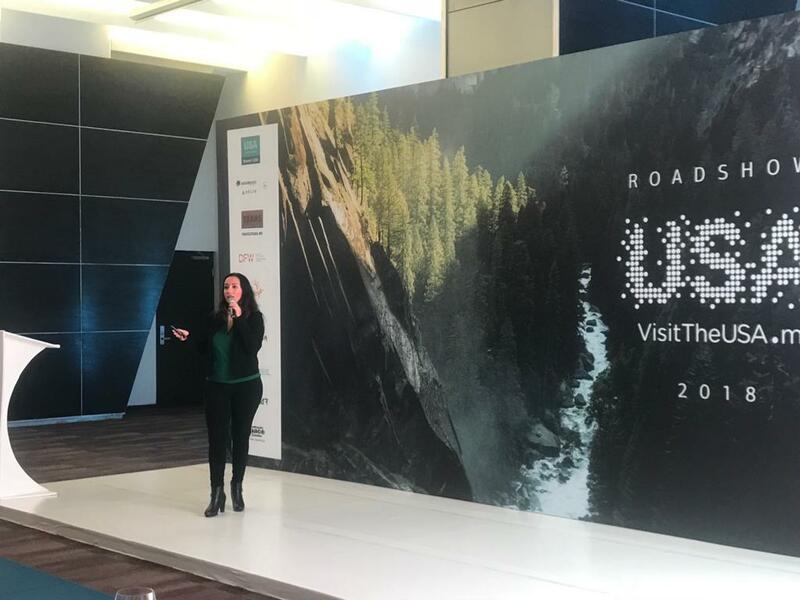 In early October, the UK Office participated in the Visit USA UK Roadshow where they met and trained agents on the destination in Manchester, Birmingham & London. In all, they met with nearly 300 agents during the roadshow. Benjamin Eastman joined the Visit California Canada Sales Mission in early October where he attended events in Toronto, Montreal, Calgary & Vancouver. Benjamin was able to network and train nearly 300 agents over the 10 events held during the week. 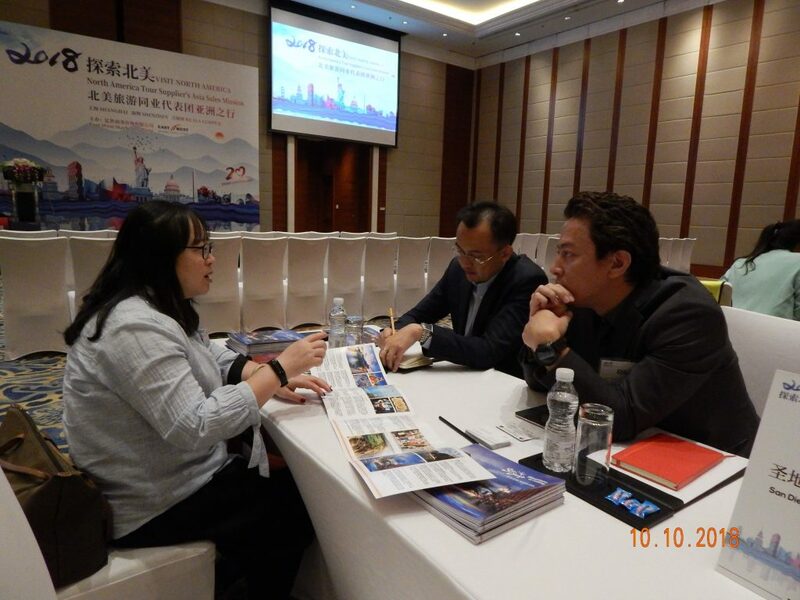 In mid-October, Riki Suzuki, Tourism Development Manager, participated in East West Marketing’s China & Asia Sales Mission. 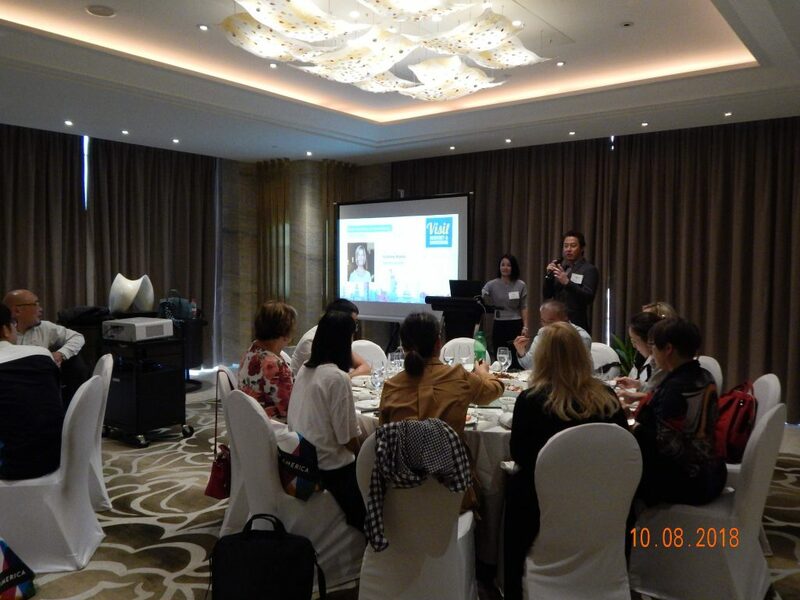 During the mission, Riki visited Shanghai, Ningbo, Shenzhen and Kuala Lumpur where he interacted with nearly 200 travel trade and MICE accounts through presentations, one-on-one meetings, workshops, and networking lunches. 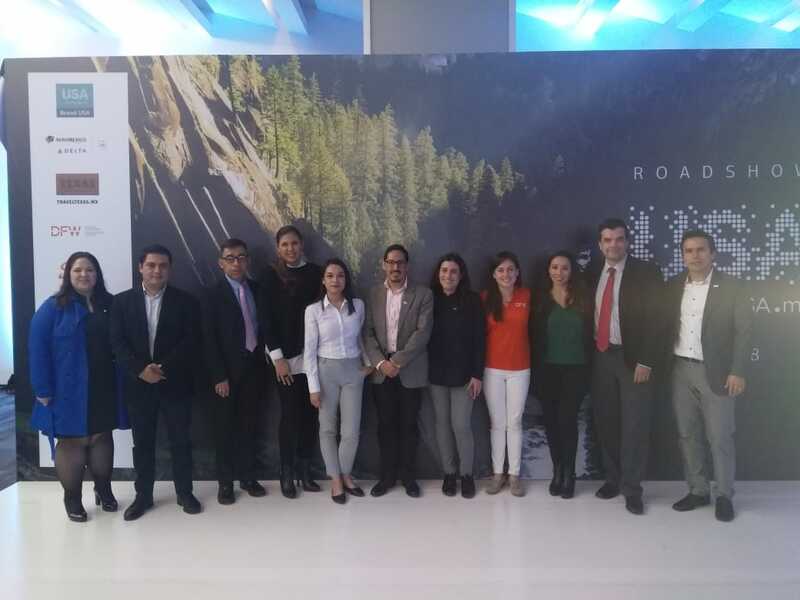 Denise Heredia, Travel Trade Representative in Mexico participated in the CCRA Travel Network event in Piso 51 where she presented what’s new in San Diego and instructions on how to access the Specialist Program to over 100 travel agents in Mexico City. 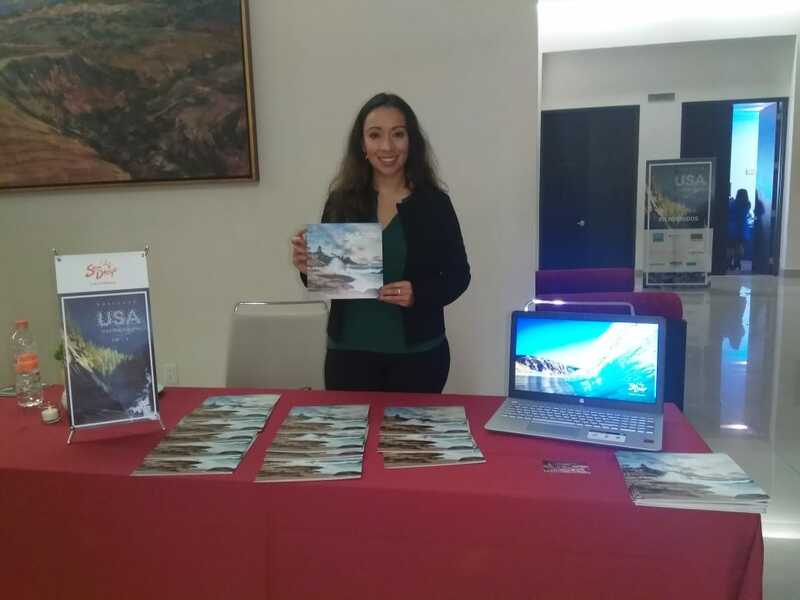 Denise Heredia, Travel Trade Representative in Mexico participated in the Brand USA Road Show covering the cities of Monterrey, Leon and Aguascalientes. 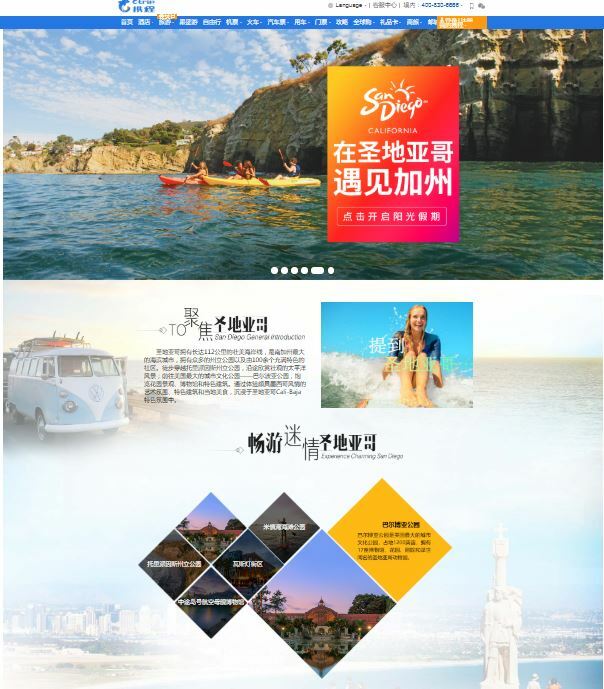 San Diego presentations and information were distributed to over 247 travel agents. 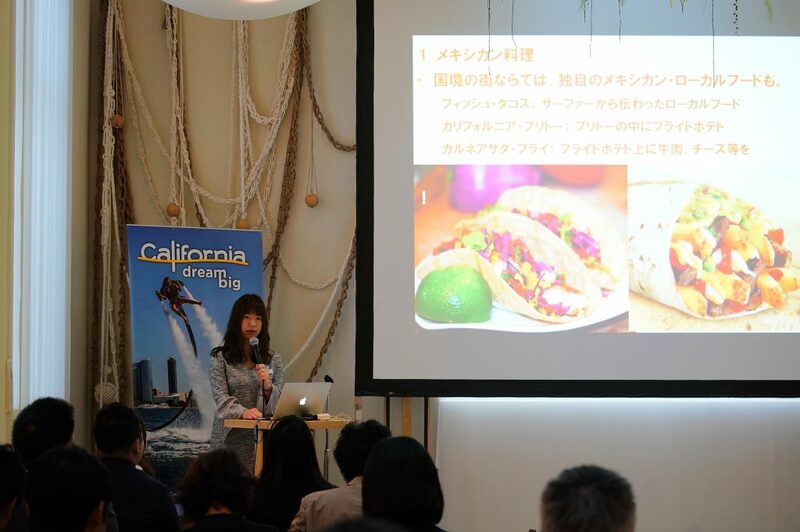 SDTA participated in Club California Product Development Series in Taipei on October 10th. 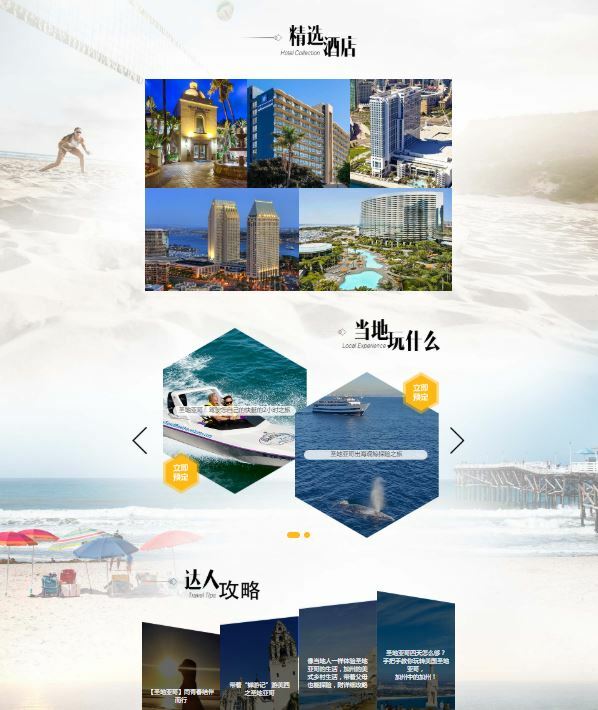 Visit California Taiwan staff delivered the San Diego destination presentation and distribute collaterals on SDTA’s behalf to key operators in Taiwan. 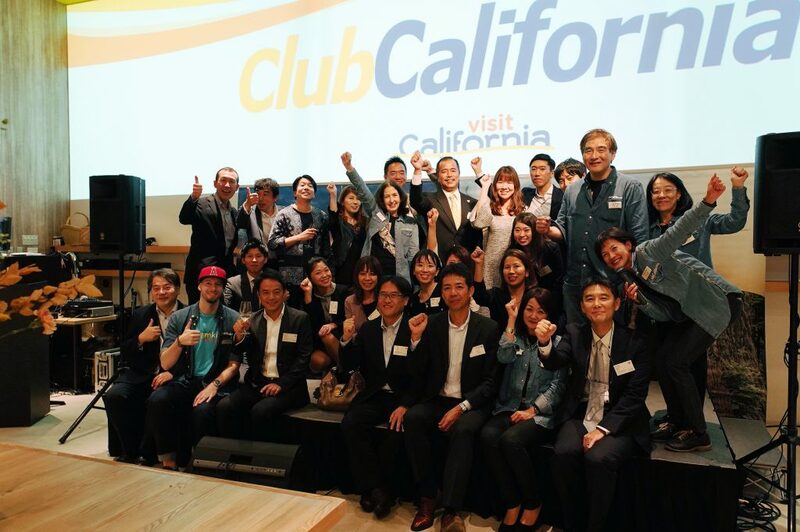 Tomoe Matsunaga, Travel Trade Representative in Tokyo, participated in the Club California Tokyo event on October 23rd. 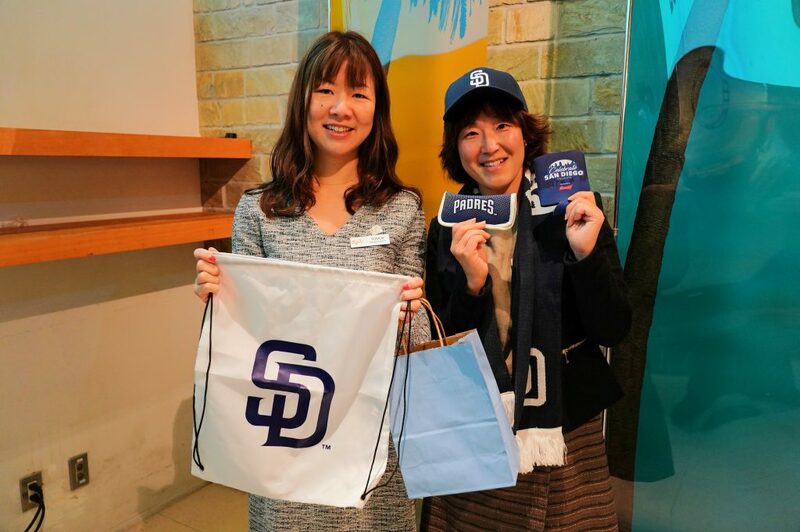 The event welcomed over 100 travel trade professionals, where Tomoe gave a presentation to promote San Diego and network with the attendees. Sheri Crusberg, FAM Coordinator participated in the destination training of 75 the Walt Disney call center travel agents. Several SDTA members partnered and participated in the event. Tourism Development hosted 7 International Agent fams during October. The UK Super FAM Finale brought four groups of 10 agents to San Diego for two nights with a final event at Balboa Park where Visit California staff and San Diego members participated. US Airtours brought in 7 agents from the UK for two days staying at the Catamaran Resort Hotel while learning about San Diego experiences. 15 product buyers from China were with the Galaxy Fam Group where they spent a full day experiencing the key attractions and activities in San Diego. Two leads were generated from this group for future business. Tourism Development team hosted the Brand USA China fam with 15 participants to experience the USS Midway, SeaWorld, San Diego Zoo, Balboa Park and Stone Brewery at Liberty Station. Other fam groups included VCA Canada, Willy Scharnow Foundation Fam of 15 agents and TravCo.